Own it! Have confidence and if you don’t always feel it, do it anyway! Many years ago, I was approached by a colleague to take on a leadership position to run a business previously acquired by Schwab. I was surprised to get the tap on the shoulder. I had built a reputation for doing good work and learning quickly, but this role was like nothing I’d ever done before. It was a tough decision: this travel-intensive job could easily end in failure, and I had a 3 year old and a 5 month old. I was honest about my feelings but open minded to the challenge and excited about the proposition of learning by trying something I’d never done. I decided to take a chance: when I arrived as the new leader, it was up to me to determine how to engage, to understand the context of this business, to listen to the experts who were there and to help the team define our future and then removing obstacles in their way. Taking that stretch role has been the best career decision that I ever made. It was a tremendous learning opportunity that helped position me for significant personal and career growth over the next few years. I had the pleasure to interview Neesha Hathi, the Executive Vice President and Chief Digital Officer of Charles Schwab. Neesha Hathi the Digital Services organization, serving individual investors and registered independent advisors, representing $3T+ in client assets and 11M+ accounts. She is responsible for defining and developing the strategy, offers, and experiences to drive growth and loyalty of clients through digital platforms, digital advice solutions, and business innovation. Since joining Schwab, Hathi has held a range of leadership roles across the organization. 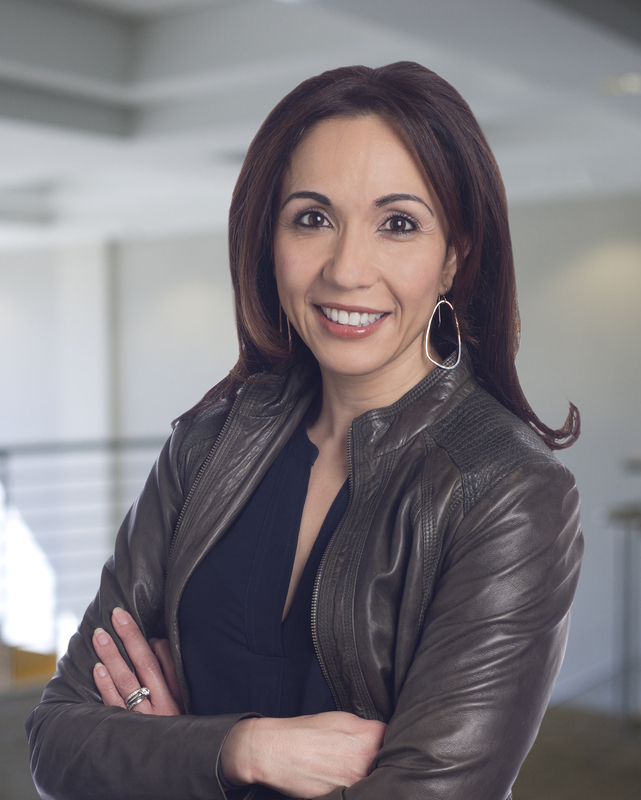 She was the Executive Vice President of platforms and client experience for Investor Services, led Advisor Technology Solutions, delivering digital platforms and solutions to RIA advisor clients, served as the COO of Schwab Performance Technologies®, and also led a range of strategy and client experience teams. Hathi has received numerous recognitions for her leadership and advocacy. In 2016, she received the Industry Leader Award by the Professional Business Women of California and was also recognized by InvestmentNews as one of the 20 most powerful people in the industry. In 2012, the UN Convention on the Elimination of Discrimination against Women honored Hathi with the Women’s Human Rights Award for Leadership. Hathi previously served on the Board of Governors of the Boys & Girls Clubs of San Francisco and on the board of the International Museum of Women. I was always familiar with how investing worked as my parents were investors — we talked about it as I grew up. After college, I started in financial services but left as I found that the values and culture weren’t what I was looking for — I gave away my suits and let my licenses lapse. After several technology startup experiences, I interviewed at Schwab on a recommendation from a grad school friend, but I was skeptical. It seemed too good to be true: a firm that was built to make investing more accessible and affordable and one that had the same entrepreneurial spirit that I enjoyed from my start up days. But 14 years later, I know it to be true. The role I have now combines financial services and technology — this combination is really powerful in making the benefits of investing easier and more accessible for more people. · My first job out of business school was as the head of finance for a startup that was burning through cash and had to be shut down only three months later. I felt naïve for not seeing the challenges with the business model in those dot.com bubble days. That said, I learned a tremendous amount in a very short time about leadership, about my own adaptability and about the many opportunities that often come from chaos. · It is definitely the purpose of our company that differentiates us — to make investing more accessible to more people. Schwabbies are driven by a relentless desire to allow everyday people to gain access to the services that were once reserved for the elite. While many companies articulate a client-focused mission, Schwab is truly client obsessed and every day decisions are always framed in simple questions, “what would the client think of that? How would clients feel about this? Does this really solve the client’s problem?” Our business model is fueled by this client focus — we do great by the client and they bring us more of their business. Simple and straightforward to say, but it is our culture of people who truly live this way every day that makes this a differentiator. · We’re in the midst of accelerating our digital transformation across Schwab that is helping us deliver on our no-trade offs offer: investors shouldn’t have to choose between great service, advice, low cost and transparency, and these should be delivered in seamless, easy and beautiful experiences in the channel of the clients’ choice. If we do this right, we make investing easier and more affordable — which helps individuals reach their financial goals. One area I am really excited about is the opportunity to provide more personalized, digital financial coaching. Schwab’s been focused on investing since we started, but we’ve evolved as peoples’ financial lives have blurred over the traditional boundaries within financial services. Today, there’s an opportunity to help clients approach finances holistically, including banking, insurance, health care and investing, by answering questions and offering advice. A financial coach should be able to help with basic questions for anyone: how to get started, addressing emergency funds, thinking about the level of insurance you need. And through digital, we are trying to make this available to people who may not have been well served by traditional financial services. It’s really about helping more people get to where they want to go in their financial lives. I can offer what I try to do in my role: Strive to always be transparent, authentic and collaborative and assemble great teams of talented people who truly believe in the mission. Great teams are diverse — in styles, backgrounds and strengths — and we use this diversity to become stronger together. I strive to create an environment that encourages spirited debate around our shared mission, where we all succeed together, and have fun along the way. · I am inspired every day by my parents and am especially grateful to my mother, who role modeled what it is to be a strong, resourceful woman. My parents immigrated as newlyweds to the US 45 years ago, and my mom had never held a job. As soon as they arrived, my father’s job disappeared, and my mom had to get her first job in her first week in America. She found work in a button factory. I’m still amazed when I think about what that experience must have been like — newly American, dressed in a sari with no experience — looking for work. But, she did it. And then, through her and my dad’s hard work and resourcefulness, they eventually owned businesses of their own. I don’t take for granted all their hard work that gave me the opportunities and model of entrepreneurship to follow. · I’ve been fortunate to serve on the boards of the San Francisco Boys and Girls Club, and the International Museum of Women (now the Global Fund for Women). Both share a goal of building confidence and empowerment in young people and women. · Own it! Have confidence and if you don’t always feel it, do it anyway! Many years ago, I was approached by a colleague to take on a leadership position to run a business previously acquired by Schwab. I was surprised to get the tap on the shoulder. I had built a reputation for doing good work and learning quickly, but this role was like nothing I’d ever done before. It was a tough decision: this travel-intensive job could easily end in failure, and I had a 3 year old and a 5 month old. I was honest about my feelings but open minded to the challenge and excited about the proposition of learning by trying something I’d never done. I decided to take a chance: when I arrived as the new leader, it was up to me to determine how to engage, to understand the context of this business, to listen to the experts who were there and to help the team define our future and then removing obstacles in their way. Taking that stretch role has been the best career decision that I ever made. It was a tremendous learning opportunity that helped position me for significant personal and career growth over the next few years. Throughout my life, particularly very early in my career, I was frequently in situations where I was the “only”– the only woman, the only minority, the only recent grad, etc. I have often been asked about how I learned to operate in environments like that — where did I get the confidence to participate, the courage to speak up and voice my opinions. The answer is, I didn’t really think about it much. I always tried to be prepared, to know my stuff and then to contribute in the best way I could. I love this Eleanor Roosevelt quote because it reminds us that we have control about how we feel and behave in any situation and in many cases, others will take their cue from you. I tell myself that I’m at the table for a reason. I’m going to try and make the most of it.